All of my faces average 10 1/2" long by 5 1/2" wide and weigh about 2 lbs. Each face is first carefully sculpted in clay until I achieve the desired expression. I then create a mold which allows me to reproduce the faces in various types of cement. The coloring is mixed in with cement . I finish the process by cleaning and then sealing the face. 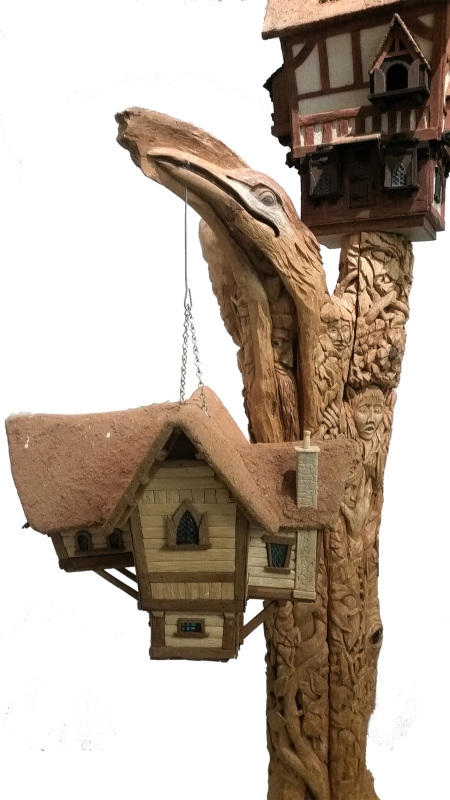 Whimsical houses come in a range of different designs and sizes. 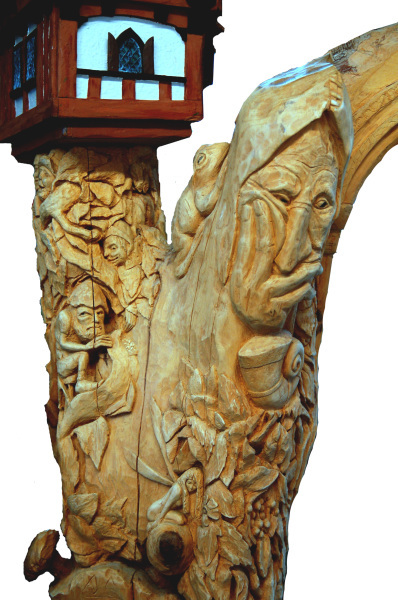 from 2ft tall x14" to as small 12''x8''and cost from $600.00 to $1000.00. 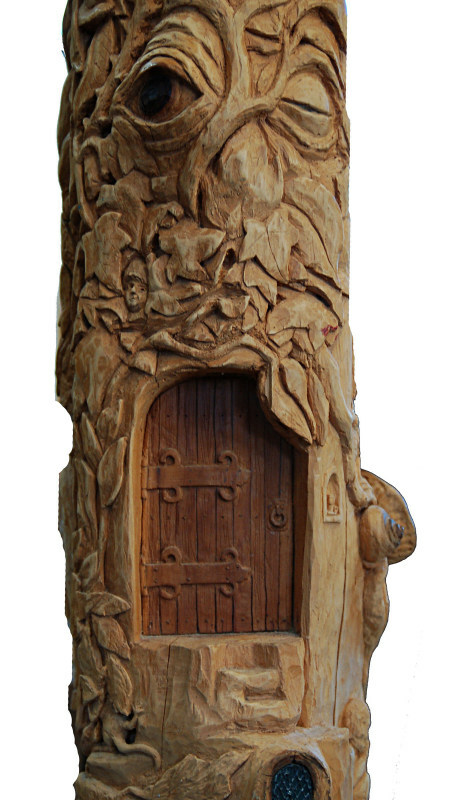 Hand carved cedar tree depicting fairiies in Celtic folklore. ​Tree height is almost 8 feet.